Last week, Los Angeles-based iExhale (www.iexhale.com) announced a seed funding round, to bring its mobile, mental health service to life. 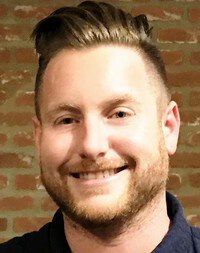 We spoke with founder and CEO Aaron Robin to learn more about the app and how it started, and how the company is hoping to reduce the stigma associated with seeking mental health support. Aaron Robin: Essentially, iExhale is an online, on-demand, wellness and mental health platform. We've combined online therapy with phone calls with licensed professionals, and also added an online social networking aspect and mood checkup. It's all inclusive, for anyone over 14 years old, and HIPPA compliant. What does that look like to a user? Aaron Robin: If you are an 18-year old guy in California, and want to talk to someone about an issue, how do you go about doing that? If you're having an uncomfortable moment, maybe you're thinking about proposing to a girlfriend, or maybe you just got dumped by a girlfriend, what do you do? You might call a friend who think maybe might be speaking to a therapist, but that's uncomfortable. From there, you might call the therapist, get a voice message, they call you back, and you have a 10 minute conversation, which is again another uncomfortable moment, at least for me. You don't know what the person looks like, or anything about who they are. And, if you go in for a session, you're sitting in an uncomfortable chair, across from a licensed professional you don't know, and sharing your innermost, deepest, darkest thoughts to them. I wanted to figure out a platform to reduce that friction, and make it something a lot more comfortable. I was working at a job in Santa Monica, helping to run somebody's company. If you've ever done that, you know that can be frustrating. You might have a lot of great ideas, but you just have to do what they tell you to do. I'd drive home, and I'd be miserable. At the time, I would call my girlfriend to complain and vent, and then I'd go to sleep. It quickly occurred tome, that I probably wouldn't have a job, and probably wouldn't have a girlfriend, if I was complaining all the time. I thought, wouldn't it be nice if I could go to the computer, find somebody who was licensed to speak with me, read a little bit more about them, feel a connection, and click on a button. If I was in a care, they could call me on a secure line, and everything would be encrypted, and while I was driving home I'd be able to speak to someone for 45 minutes about my problems, so when I got home, I'd still have a girlfriend and a relationships, and be able to smile a bit and enjoy life's magical moments. Do you think that this is easier to do this nowadays since everyone is used to texting and online interaction, rather than the traditional route? Aaron Robin: Yes and no. I think, personally, that's I have a much easier time saying very emotional things via text, and I would in person. The second level, is I'd rather do that on phone than in person. I'm not the greatest in showing emotion. I think it's easier to yell at someone, or tell someone I love them in a text or phone call than face-to-face. That might be a generational thing, or maybe it's a Millennial thing, for all I know. But it's definitely a different pattern. So where is your service now, and where is it available? Aaron Robin: The service is currently available in California. It's essentially a three-fold service. We have paid therapy, via a phone call, which is $64.49 for a 45-minute phone session with a fully vetted, licensed medical professional. The second service we provide, is in-app messaging back and forth with a therapist, which is mostly aimed at helping our users start to understand what therapy is. Lots of people do not understand why they would ever want to speak with a therapist. There's a stigma that is still there. The third, is the platform, and anonymous social network we built. It's very much version 1 of the product right now. I've very passionate about reducing the stigma about getting therapy. It's for people who are looking for help, or looking to be happier. I want to build a product to make people happier. The idea of hacking happiness is forefront. So it sounds like you have some funding for this? Aaron Robin: We've gotten some great investors who really believe in the product, and we've been moving forward at great speeds. We've partnered with a VC out of New York called Dorilton Capital. It's interesting, as I spent a couple of years doing HIPPA compliance research, and we went through multiple different legal and security teams to get this up and running, but, since then, it's been great. There's almost a black hole in HIPAA and security. We can't use a majority of the secondary applications like a normal startup would, and making sure a product like this is safe and secure is really a full time job for a team. When you're starting something, that's tough. For a couple of years, it was just me. So it was interesting for us to find the right partner to do this with to help steer the ship. We assume you are tapping into an external network of therapists for these services? Aaron Robin: We run a very interesting platform in terms of how we interact with therapists, compared to our competitors. My goal is to help people, but I am not a trained therapist. We go through a rigours screening process, where we interact with the therapists on our platform, so that we are comfortable with them speaking to clients. At that point, it's really about the therapist being able to provide the best service to our clients. Our efforts revolve around making sure the telephone lines are operating properly and the service we are offering is operating properly. We want to make sure the client experience with therapists is the best it can be, and they receive the best help they can receive. We follow up with bost the licensed therapists and userse, and get lots of user feedback from both sides and are constantly improving the product. Finally, what are you next steps? Aaron Robin: We just launched, and we just started. I have a lot of goals, and lots we want to do with this product. I was recently reading an interesting article on how the world is looking for the next social network that is a happy social network. What we are doing, is going out there to promote happiness. That's kind of what we're trying to do. The stigma around mental health is very much alive, and I am trying to reduce that in order for people to get better, to let them know it's okay to get better, and make sure we drive home that message.